On this World Water Day it seems that we will have rain for the next 4 days, how ironic. 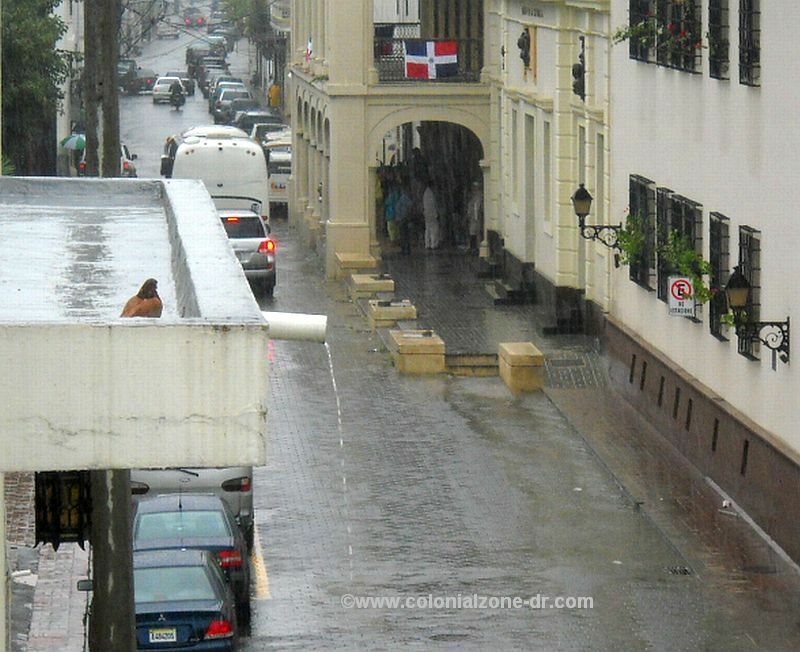 So, here is what we do when it rains here in the Colonial Zone of Dominican Republic. The view from my balcony right now. The roads are filling with water. The pigeon is hanging out on the rooftop. 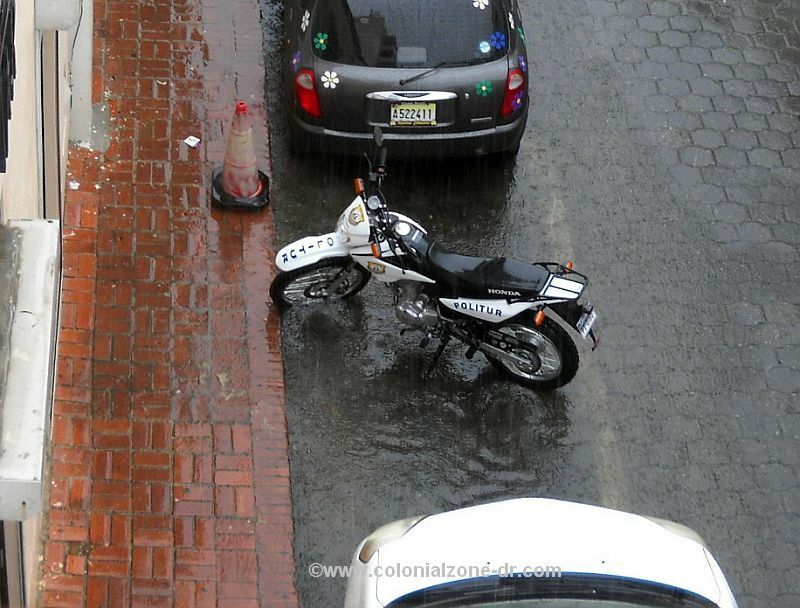 Politur abandons their motorbike and takes refuge in the Larimar Museum while the poor bike drowns. The roads are wet. The large bus stops to wait out the downpour. The pigeon watches…. 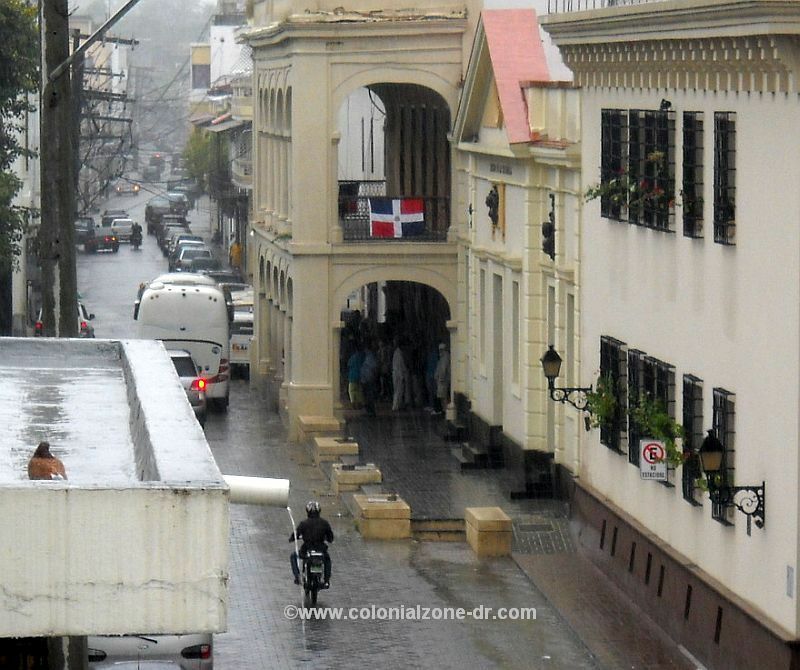 The motor bike passes, the humans are huddled under the porch of the Palacio de Borgellá hiding from the wetness. The pigeon is enjoying a free shower. If you had a choice and you were not afraid of having to be “adult” or “grown-up” or “responsible” where would you rather be? Under the porch with the frightened hoards of humans or the pigeon on the rooftop enjoying the feeling of the water flowing down your back? I am with the bird! 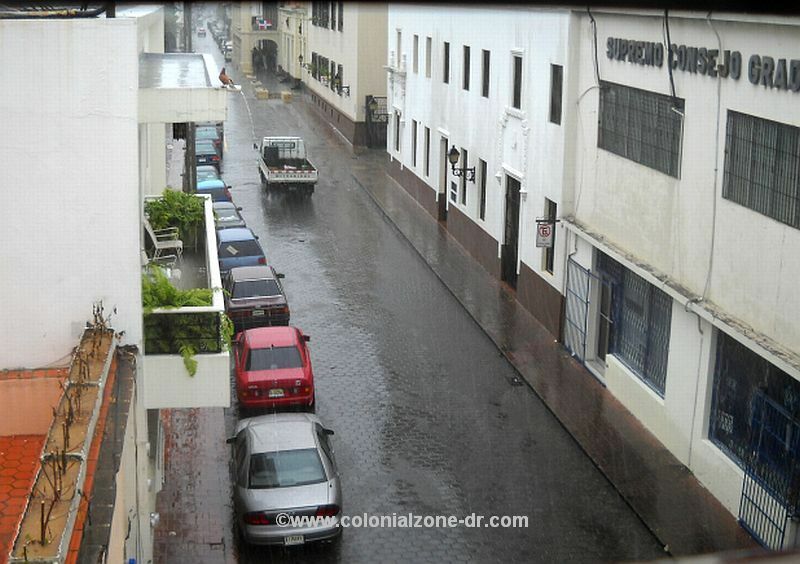 View From My Balcony adult, Colonial Zone, dominican republic, March, motorbike, palacio borgella, pigeon, politur, rain, roads, view from my balcony, water. permalink.